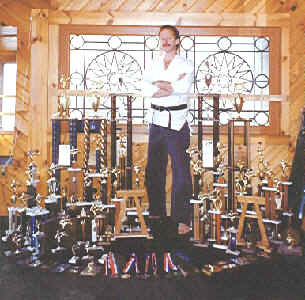 David Spahr with trophies and awards. On the way to winning a 5th senior men's black belt grand championship at the Tao Open Karate Championship in Augusta ME in 1990. 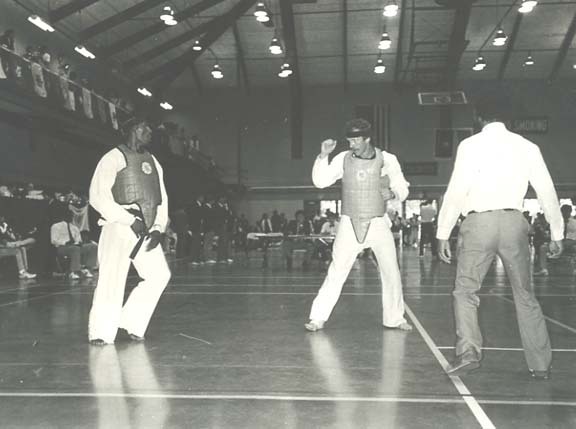 Competing at the 1985 USTU National Tae Kwon Do Championships. 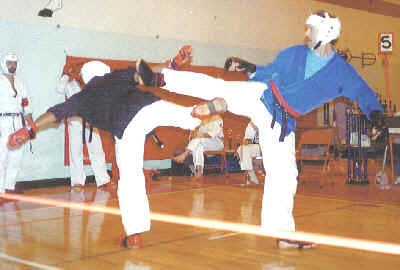 This was the qualifying tournament for selection of the National Tae Kwon Do Team to compete at the Seoul 1988 Olympic games. This was a losing effort against Na'im Hasan, an eventual National Team member. 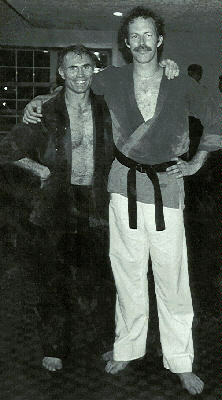 After a workout with Bill "Superfoot" Wallace undefeated middleweight champion of the world and movie actor.